by the way can you tell me which one you use, I may try to get some similar model. I would made a tutorial with all the steps if one day works, lol. After a long wait the broadband network adapter for my old GC arrived. Is just a very bad timing since im flying home next week and I'll be away for a while so i could not extend my testing further. Now a word of advise, even though the 4 of them would connect, the order of who would be the (host) would make things work or not. 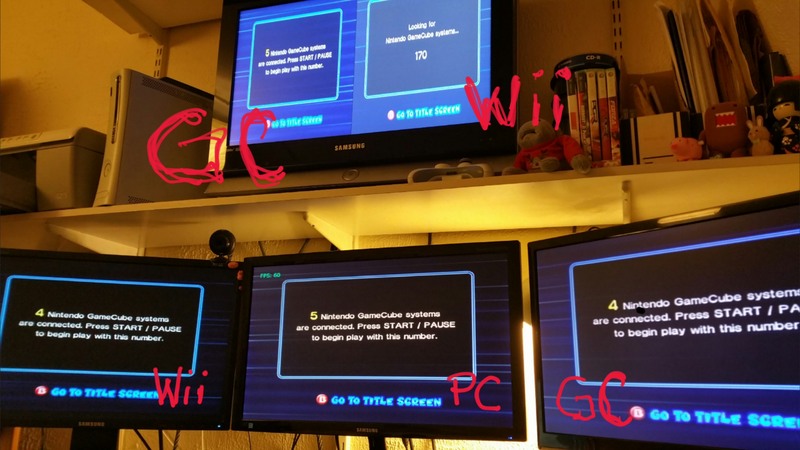 I need to start with the PC and wait for the counting before i connect the GC or the Wii or when i was connecting GC to either Wii, GC should be the Host (I call the host the first one that start the counting) but maybe is just a stupid way to call it. I promise to test further as Im back also i been keeping an eye in flybay and I found another GC with BB Adapter for a good price, so when im back on January I would get time to start playing with different configurations and combinations. Hello, Is there any news about this?? hope to hear soon. I am also trying to run it. but connection always failed with my wii. two pc's no problem. Sorry for make you guys wait and thanks for asking, actually I did some testing last weekend. And having 2 GC help me to see how things would work. Bear in mind I could not test every single combination (kind of busy) but tried a couple of things. I really like to have gc and wii to work. I did this. I am trying to connect the wii with devolution and static ip on wifi that also can been seen on the pc. I try to connect with a pc installed dolphin where I use openvpn that is bridge with my ethernet cable. Also the BBA mode is selected on dolphin. The problem is the wii and the pc doesn't see each other??? when you select lan mode. Strange part is that two pc's can find each-other. What is the problem ???? I hope to hear soon. I have R266. for what I learn so far, the router is the weakest link. Using a switch is fine using a GC but I think when it comes to Wii's is not working. I need to move stuff and make a mess of cables and stuff on my desk to try things, so usually I try that on the weekends. I used the wired connection and I remember, I had to let the counter start in the Pc and then start the Wii or some stupid sequence like that. Hello, I have the linksys wireless-g WRT54G v5 this should work I thought ? because this one was used allot for the gamecube lan. So should this not work or am I missing something ? I don't know if this router can help, for what I know is a good router and you can also use custom firmware on it. My recommendation is to use WIRED connections, also try to make sure that there is no other devices connected (maybe they are interfering), using the same setup you use to connect 2 pcs would work on a 1 wii 1 pc, it did work on my case after a bit of try and error. I saw this on this website. We recommend routers by LinkSys. In our experience, they are more compatible with online console gaming than other router brands. The LINKSYS BEFSR41 is the cheapest 4 port router available as of this writing. Routers have better port forwarding options than ICS. So if you plan to host a lot of online sessions, its recommended that you purchase a router. I order a lan adapter for my wii I hope this will help. This isn't online gaming and it doesn't use port forwarding. You need to look for multicast support. I order a lan adapter for my wii. I also order a gamecube broadband adapter to test it also. I hope this wil work for me also. in the configuration in the cisco router that I have has a multicast support. So I hope when the broadband adapter for the GC will arrived I can test if the wii will work on wifi or not. If not I also going to test it with the lan adapter for the wii when it arrived. Is there any news from testing it this last 28-30 january ? I received today the gc broadband adapter. I also try today wii on wifi because I still didn't received the lan adapter for it. I also had the same first the gamecube start the host and than the wii will find it. when you have first the wii as host the gamecube will not find it. I had a static ip in the wii. Only problem What I have now when the gamecube is a host and they find the connection the game start and directly when the intro finished the connection failed. I also but a a picture in the attachment so you can see. I think I have the multicast on in the wifi. So what will be the problem ? Today I received my lan adapter for the wii. So I test it with 2 gamecube with broadband adapter and a wii with lan adapter connected to a wrt linksys router. It works! so gc+gc+wii without any static ip. So the wifi connection is not really a good idea. Hoop this help others. There's got to be something a little bit weird in Devolution that's preventing Wiis from seeing each other. In accordance with the others here, I can get Wiis to connect to my PC just fine, but never each other. My router (ASUS RT-N66U) definitely supports multicast properly (I've enabled Multicast Routing and Efficient Multicast Forwarding). OneUp wrote: There's got to be something a little bit weird in Devolution that's preventing Wiis from seeing each other. In accordance with the others here, I can get Wiis to connect to my PC just fine, but never each other. My router (ASUS RT-N66U) definitely supports multicast properly (I've enabled Multicast Routing and Efficient Multicast Forwarding). Are you running into the same issue myself and chorgox did where two Wii consoles hooked up to a PC or Gamecube stop on the counting screen? Definitely seem like they won't connect regardless of the router. Hello Everyone, sorry for the delays, been waiting for the switch that never arrived, cancelled the order and order another one. Im glad that GC-forever managed to sort the stuff, as soon as you got the network adapter is all good. Having 2 different Switchs, 1 Router 3 different Wiis with 3 different Adapters, that i tried, with every combination I start to think that or im a bit stupid (that is always a chance) or there is something very weird in my setup. I was wondering if any of you have a older version of Devolution? Seems like the r234 was the first one to offer BBA, and i used only the latest r266 for all my testings. Tueidj, can you please tell us what is the problem? I think also have the same problem when second wii add to the setup with 2 gc + 2wiis. 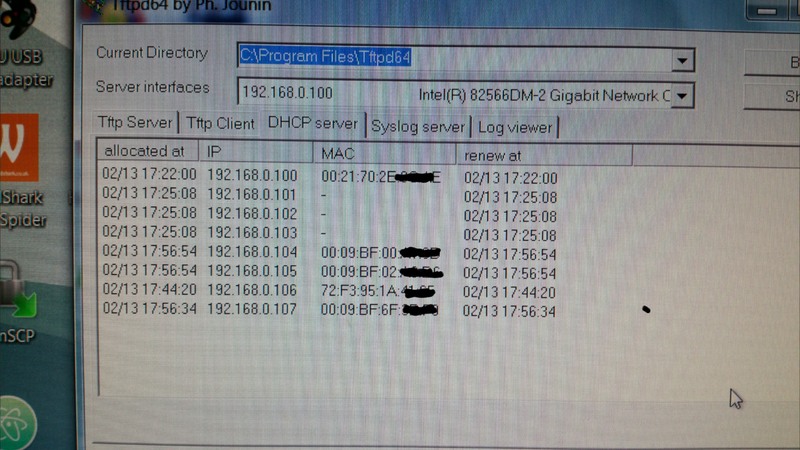 I use automatic ip and also static ip in the system it doesn't make a change it include multicast enabled. Which Rxxx version do you have on your wiis? I have r266. I also test the r253 with the same problem. R234 didn't had the BBA option in it yet. What do you expect me to tell you besides "it works for me"? Any chance of telling us what router are you using? tueidj wrote: What do you expect me to tell you besides "it works for me"? Maybe you can make list how we can find out where the problem is ? or why this problem appear ? version of homebrew, version of the wii version? maybe other thricks that helps to find out what the problem is in our setup? It will be helpfull. Your router is obviously not good enough. I am using a cisco EA4500. Can you maybe explain why it is not good enough? because with the gamecube's it works. When second wii is added it get stuck with counting and only the gamecube see the wii's. when I add a pc with it is doesn't have the problem. It looks like the wii has maybe the same name in the network that it get stuck and only what you can do with the wii is push the button b to resolve it. Or is this maybe a strange answer that they have the same name for mario kart double dash? You haven't even posted any logs.